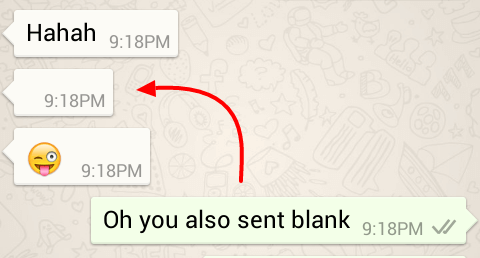 Are you wondering how some people or your friends send blank message on Whatsapp? 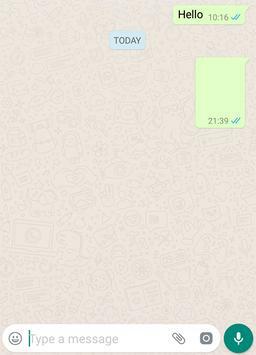 It is very cool to send empty message to someone on Whatsapp. It could be fun as this will amaze your friends. But the question is how to do this? Well, this could be dome with multiple ways. Using tricks, apps and even without using any app. Some of the methods have been broadly discussed below. Go to Google Play and install Blank Message App. As per your wish, you can choose “Rows” or “Character” and select the number from the drop-down list. 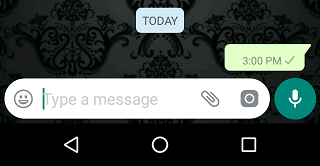 On pressing the “Send” button, you will get redirected to “Send to” screen on Whatsapp. You can easily select the contact or group of people whom you want to send the empty message. The selected contract or group chat screen will appear on the screen. The compose box will show the empty message. You have to create blank space on your notepad. This could be done by typing “Alt + 0160” or “Alt + 255”. The blank space will be created on the notepad. You can save this file (if using computer) and send it to your Android Phone. On the Android device, open the file containing blank space data and copy the content. Open the Whatsapp and select the whatsapp contact or group whom you want to send the empty message. Paste the empty message and click on the Send option. “Hurray”, your message is sent. In this method, Arabic character will be used as it is not identified by the Whatsapp. So, when you send Arabic character message, the recipient will receive empty message. In order to see how this character looks, you can use its Unicode that is 0xFDFF. 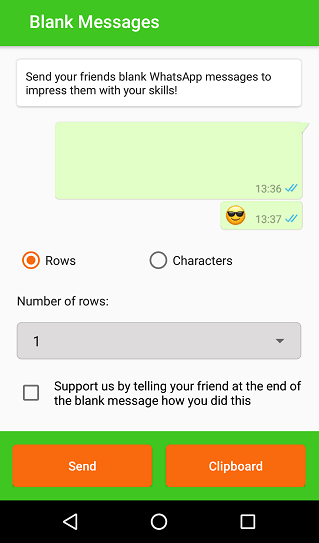 You can double quote the blank character and paste it on the whatsapp message. Make sure to remove the double quote before click on the send option. You will that the receiver has received empty message. The second and third steps will provide you solution on how to send blank message on whatsapp without any app. However, sending empty Whatsapp message without any app could be a cumbersome process for many novice users. 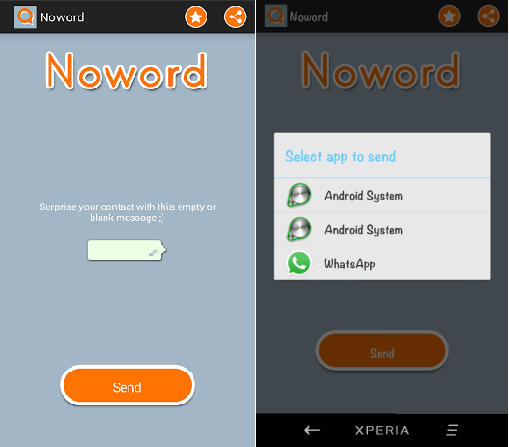 NoWord app could be directed installed from Google Play. Open the application and click on “Send” button. You will be asked to choose the mode to complete the step. Choose Whatsapp from the list. The android device will automatically open “Whatsapp”. Just select the contact or group whom you want to send the empty message. The message delivered in the chat box will be empty. Conclusion: Whatsapp is the most used application for sending text message. Sending blank message to your loved one’s could be used to amaze them. Use the tricks mentioned above to send empty message and have fun.